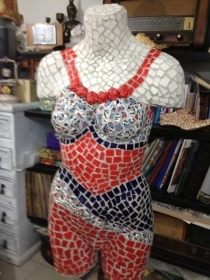 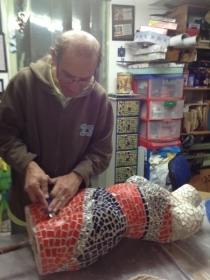 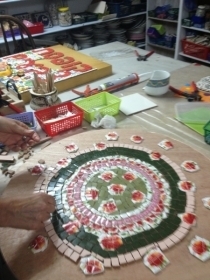 Learning experience of creating the mosaic. 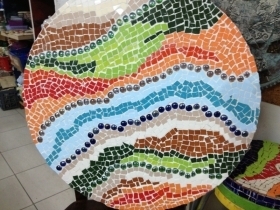 Knowledge of materials and techniques of mosaic designs. 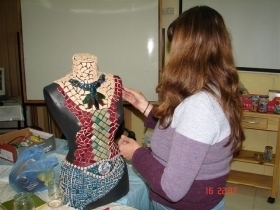 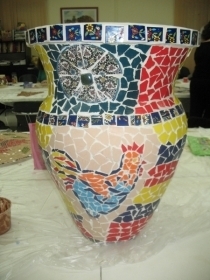 Using a variety of mosaic materials: ceramics, glass, stone, porcelain and more ..
Learning techniques of a variety of different adhesive materials and their suitability for the base material. 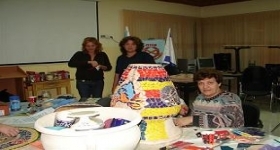 Creation of tables, mirrors, vases, pictures, ornaments and more. Studio study in small groups, personal attention, homely atmosphere. 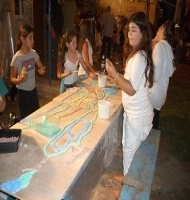 It can be held in organizations, community centers, etc.